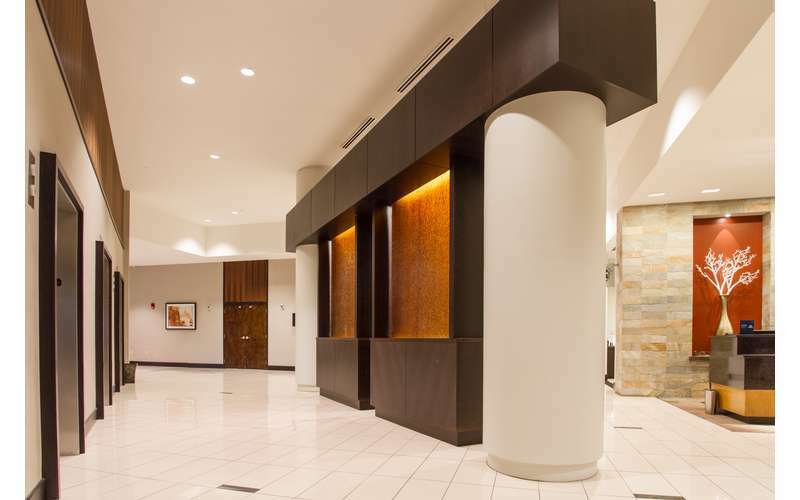 Upon arrival see the dramatic and exciting change of the facility starting with the new entrance, spacious lobby, guest registration counters and the beautiful Charter Restaurant and SESSIONS lounge. 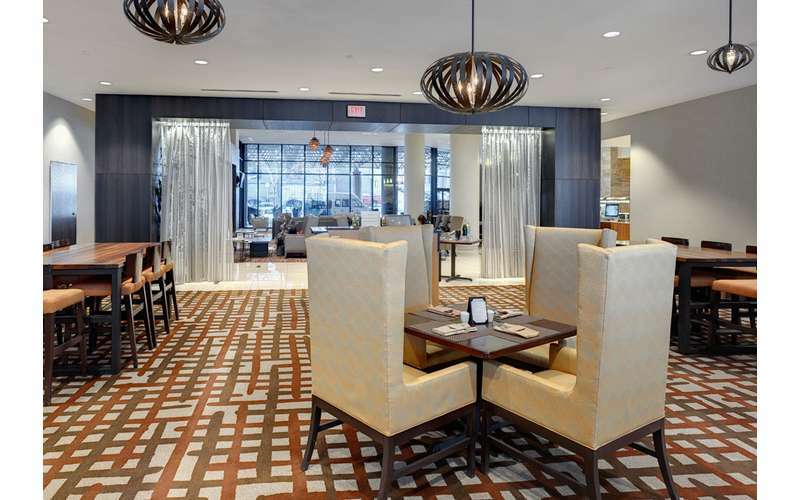 This new look brings a sophisticated and upscale setting to downtown Albany all designed to invite people to share, meet and socialize in the public areas of the hotel. 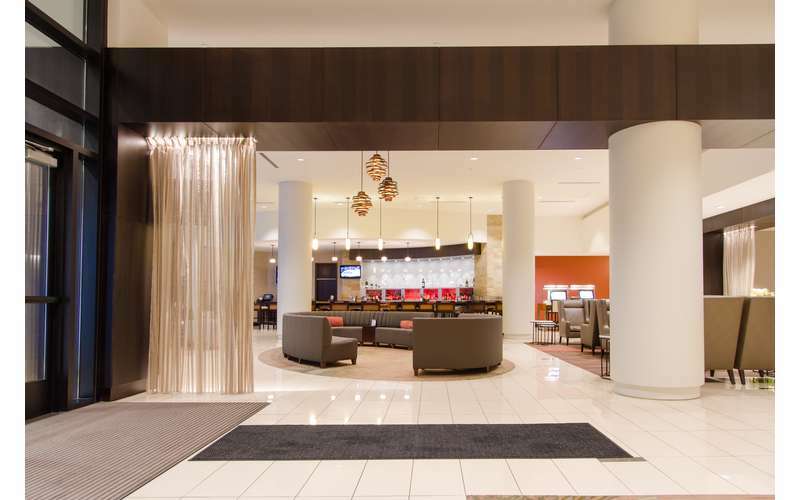 Hilton Albany is the smart choice for travel to Albany - offering comfort, convenience, and a wealth of amenities as well as HHonors points for guests. 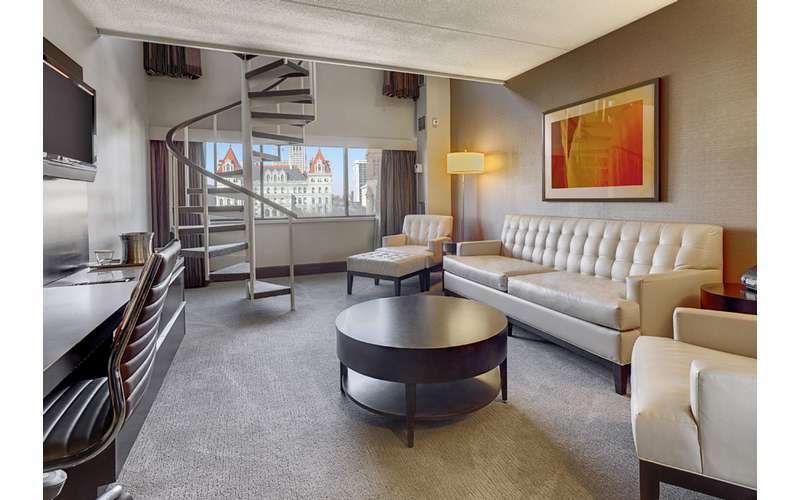 Located just one block from the New York State Capitol Building and two blocks from the Times Union Center, hotels don’t get any more downtown than this. 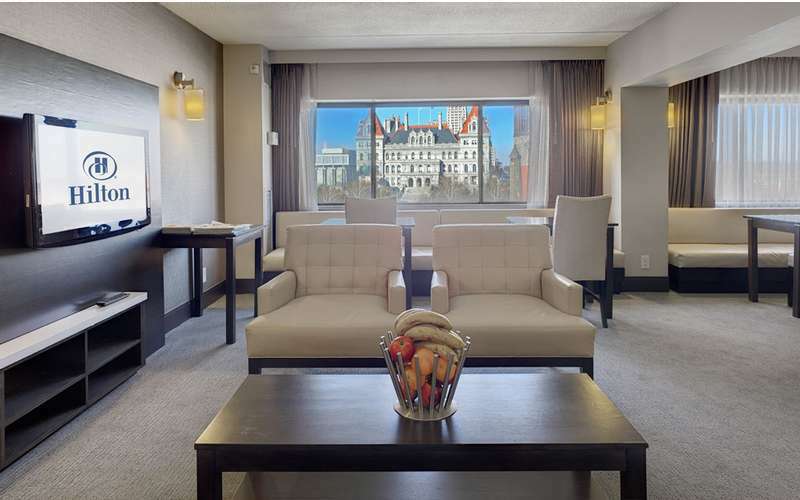 This downtown Albany hotel is the largest in the area, boasting 385 oversized guest rooms and suites that lend themselves to sophisticated and comfortable travel. 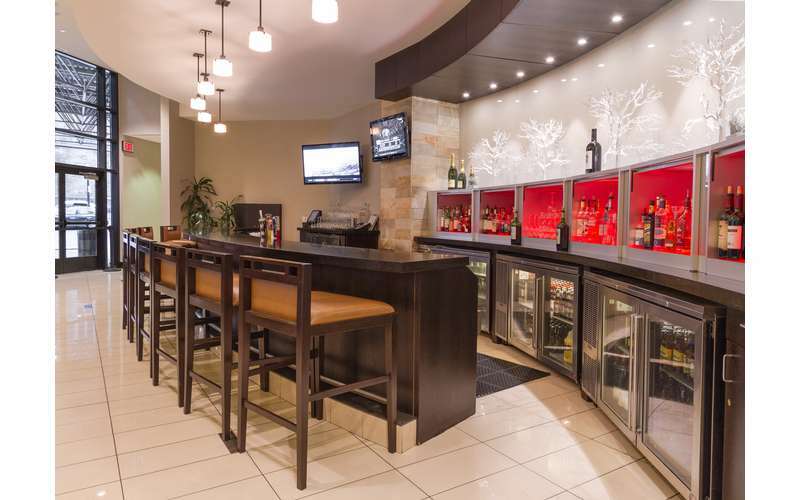 Guests at our full-service hotel can appreciate an array of perks that make any stay unbeatable. 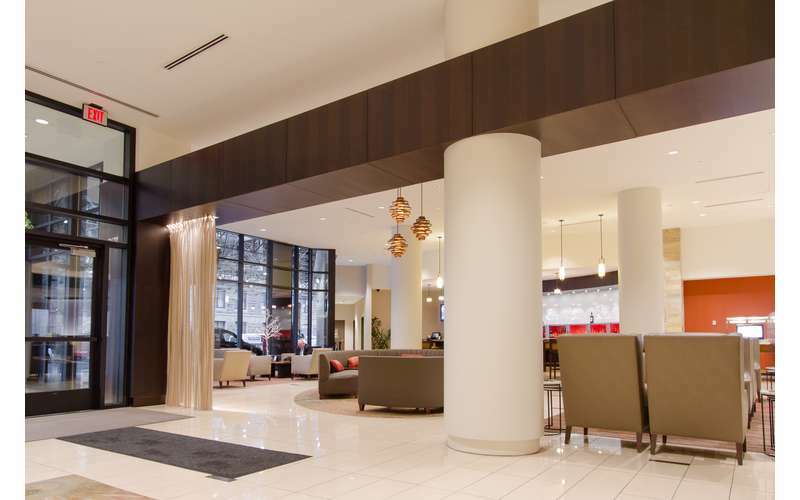 From complimentary Wi-Fi throughout the hotel to a state-of-the-art Hilton Fitness Center to the largest ballroom in the Capital District. 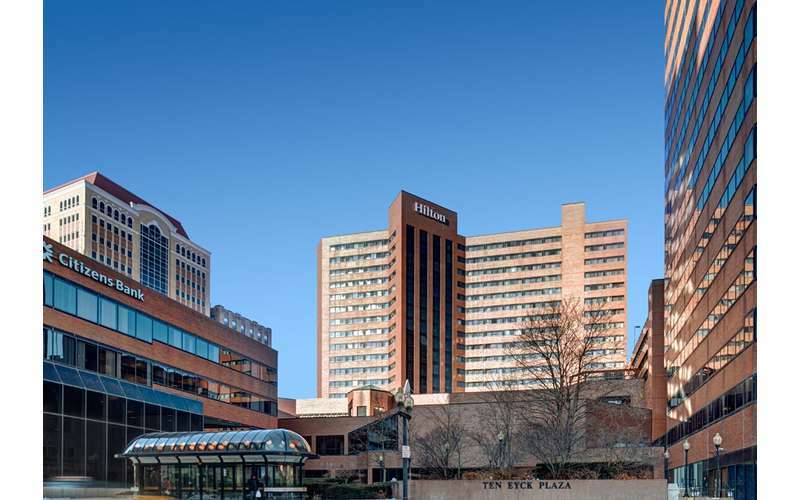 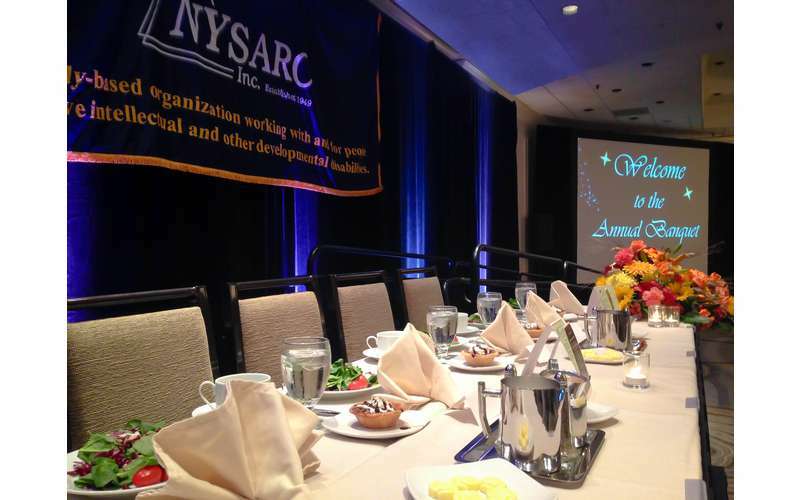 This Albany Hilton hotel’s amenities put it above and beyond other hotels in the area. 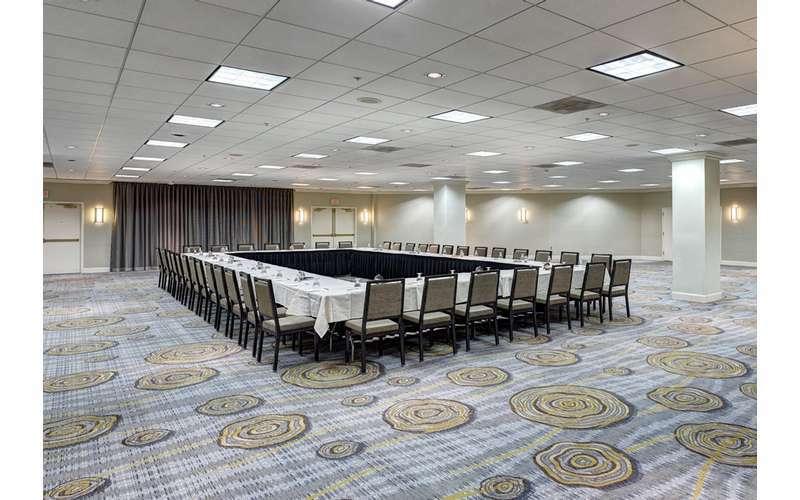 With over 30,000 square feet of space for weddings, meetings and group travel, planners find delight with our downtown Albany hotel. 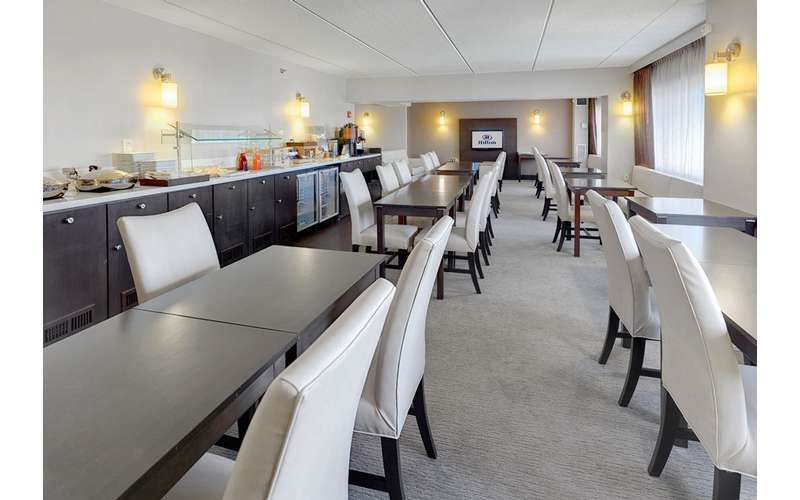 Offering a professional catering staff, flexible venues and customizable online tools to assist in planning, Hilton Albany makes event planning a seamless exercise.